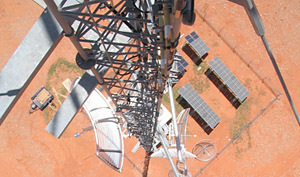 Our team of qualified telecommunications riggers can conduct site surveys, network component installations, rollouts, steel works, tower reinforcing and tower builds. 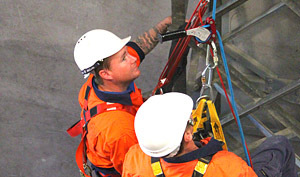 We can supervise heights and confined space work, shutdown operations, deliver site inductions, manage compliance, administer rescue and deliver first aid. 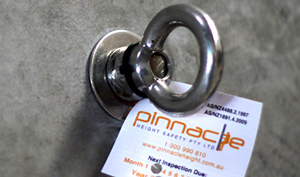 We offer a wide range of inspection services and can advise on the most appropriate testing technique for your situation. 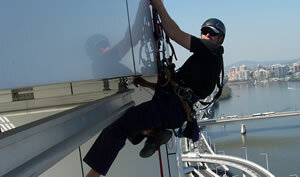 We provide specialist rope access contracting for a range of services including maintenance, inspection, rectification and shutdown operations. 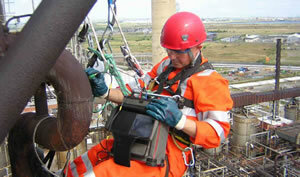 We conduct audits in hazard identification and risk assessment for all height-related operations. 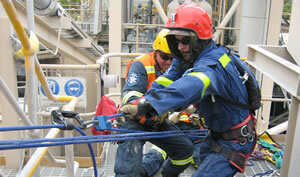 We can assess relevance, appropriateness and compliance of your policies, procedures, SWMS and rescue plans.